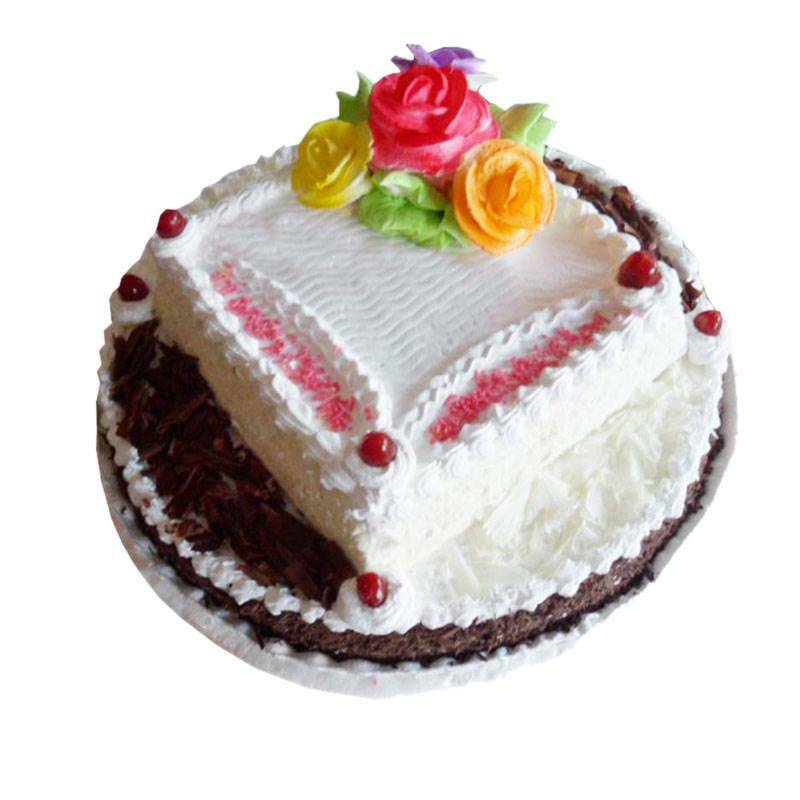 Black and white forest cake are attached together here as a single cake where the lower base is black forest and the upper one is white forest with delicious flowers at the top adding beauty to the cake. Black Forest Cake, a Lip smacking Fresh cream Cake, sprinkled with chocolate shavings. The exotic taste of Black Forest brings refreshment, whipped cream and chocolate in layers of chocolate sponge cake and white forest comes besides adding sweeter and fresh taste.